It’s already May and the annual Legends event (hosted by the La Cienega Design Quarter) is finally here. This year’s event theme is titled “Novel Interiors: Storytelling by Design” and as the name suggests, it’s going to be a very creative outlet for the participating designers and a fabulous experience for anyone lucky enough to attend. 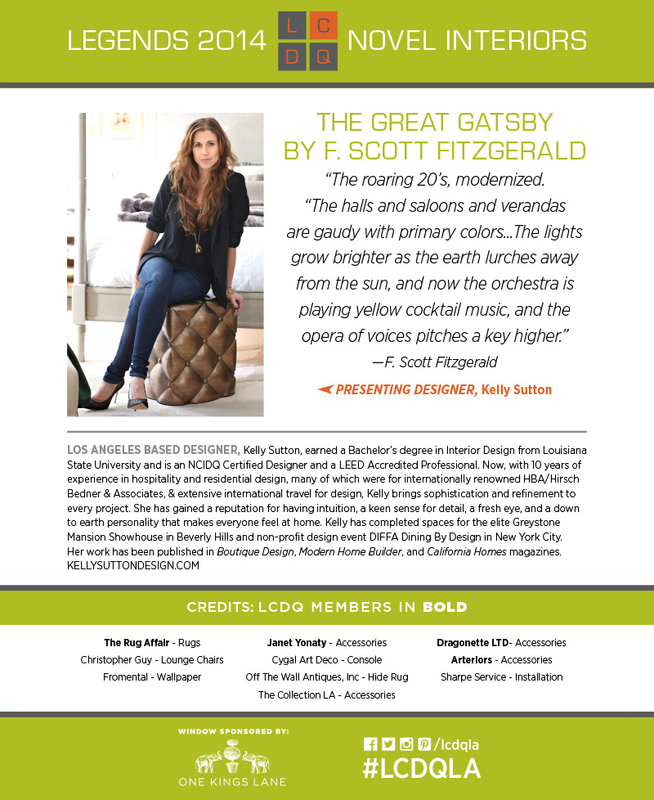 This year we’ve partnered with designer extraordinaire Kelly Sutton to create what we know will be both a provocative and glamorous window display inspired by the 1925 novel by F. Scott Fitzgerald, The Great Gatsby. 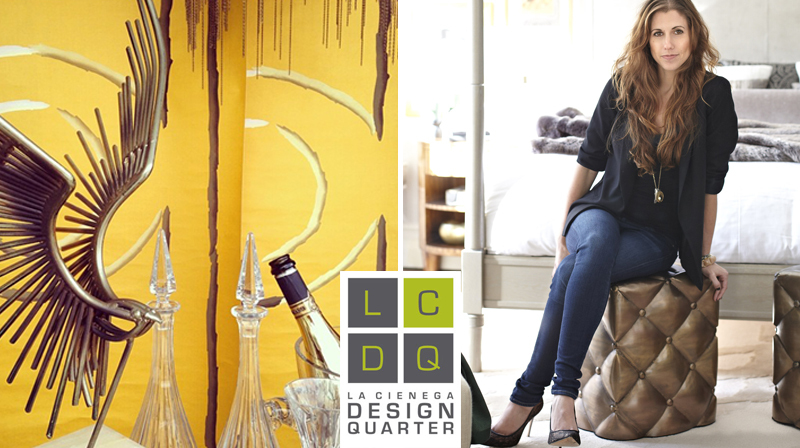 If you’re not familiar with the LCDQ’s Legends of La Cienega event, it’s a weekend where over 40 designers descend on to La Cienega Boulevard here in Los Angeles to give the storefront windows a design overhaul tailored to each year’s event theme. This year’s theme is Novel Interiors, Storytelling By Design. The event kicks off TODAY — look for The Great Gatsby themed window here at the Hollywood Sierra Kitchens Showroom and next door at The Rug Affair — trust me, you can’t miss it. The yellow Fromental Berard wall paper panels make a bold statement! A big thank you to all of the fabulous brands and people that helped make this window possible. Details about all of the product on display will be on SuttonHouse next week.